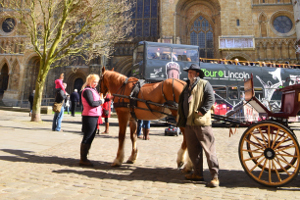 Twelfth and thirteenth century Lincoln was a place of learning, where a young Stephen Langton’s radical constitutional idea took shape. Langton later became Archbishop of Canterbury and instilled in Magna Carta his ideas on kingship. 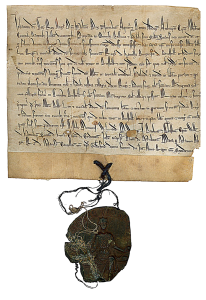 2015 sees the opening of a new vault and visitor centre for Magna Carta that will be displayed alongside 1217 Charter of the Forest, within Lincoln Castle. This recent development of the Castle also includes a Medieval Wall Walk and a Victorian Prison. 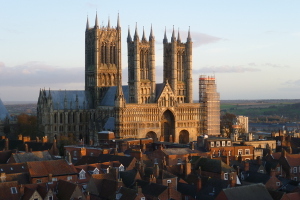 Lincoln Magna Carta is owned by Lincoln Cathedral, one of the finest examples of Gothic architecture in Europe. 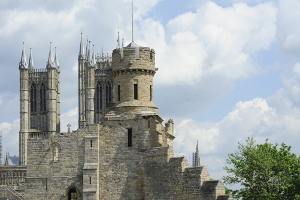 A visit to the Cathedral is a must when viewing Magna Carta at Lincoln Castle. Enjoy roof, floor and tower tours of the Cathedral. 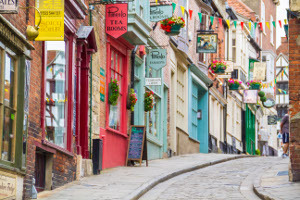 Explore the wider Cathedral Quarter with many independent shops and places to eat. And look out for the year round programme of festivals and events across the city.